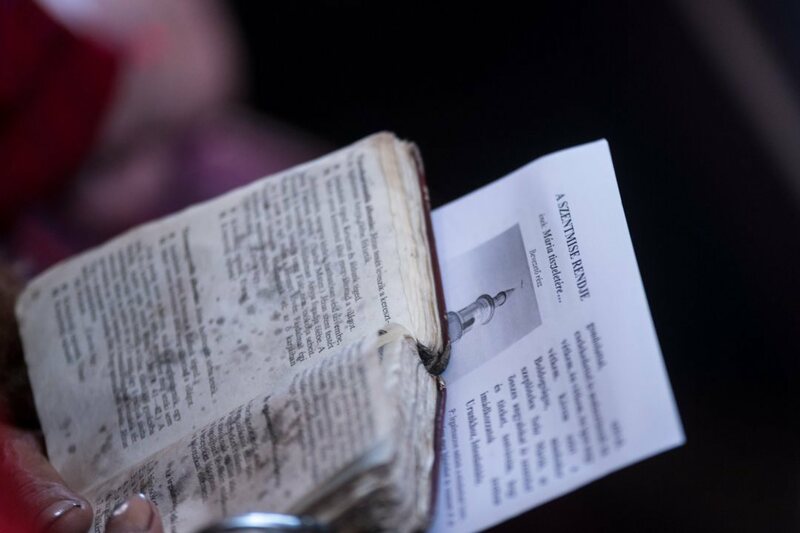 On Sunday afternoon, the Saint Nicholas Parish Church of Bákó/Bacău was jam-packed for the first-ever officially permitted Hungarian-language Mass in Moldavia. Many believers wanted to be part of what would certainly be a historical event for Hungarians. Last week, the Roman Catholic Diocese of Jászvásár/Iași gave permission that Mass could be celebrated — only once a month — in the Hungarian language for the Csángó-Hungarians in the Saint Nicholas Church, which is located near the main square of Bákó/Bacău. The first such Mass took place on January 27th, the first time in the 135 year-long history of the diocese that a Mass could be celebrated in Hungarian with the approval of the bishop. Even in the last 30 years since the fall of Communism, requests from the Moldavian Csángós for Hungarian-language Mass were repeatedly rejected. 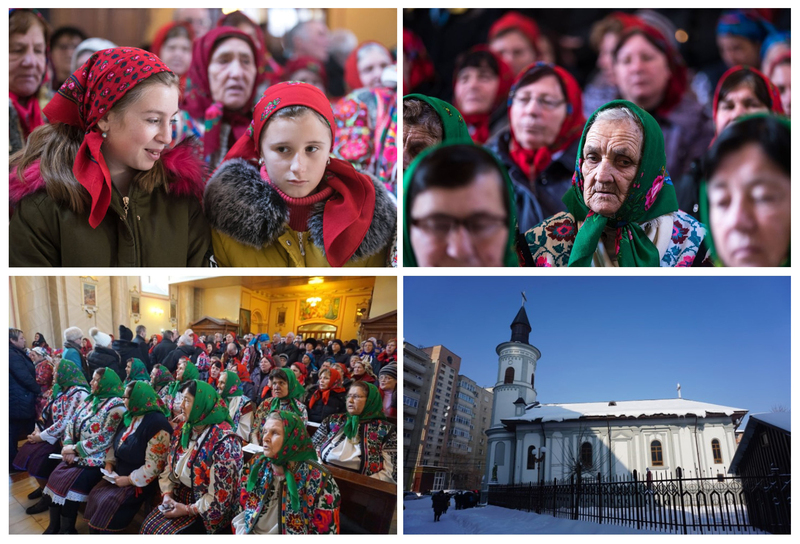 Inside the church, people were in a festive mood, some groups of believers – from a handful of Csángó villages – arrived to the celebration in their traditional folk dress. Prior to the Mass, the church was nearly full to capacity as worshipers participated in a one-hour adoration of the Eucharist, and the congregation sung traditional Hungarian hymns between the prayers. “Everybody was singing with such a pure heart, and the whole thing had such a sacred feel to it that we could feel the power of the community,” said ethnographer Tinka Nyisztor, who is also in charge of religious affairs for the Association of Csángó-Hungarians in Moldavia, and is a leading figure in the Csángó community in the struggle for the right to have the Mass celebrated in their mother tongue. The first Hungarian-language Mass was celebrated by János Ciobanu, Pastor Emeritus, who served in Belényes/Beiuș in Bihar/Bihor County and who returned to his homeland following his retirement. The main message of his preaching was that all believers should live an exemplary life each and every day. 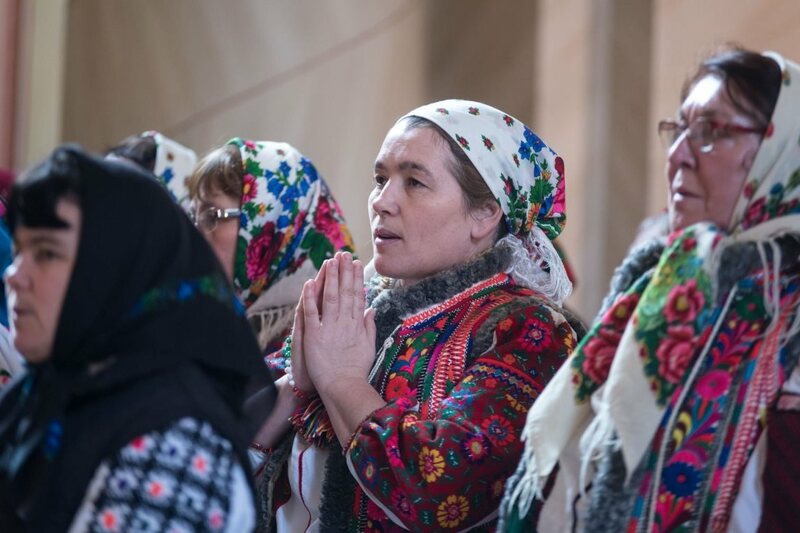 The ethnic group of the Roman Catholic Moldavian Csángós – who speak an ancient version of Hungarian language that traces back to the Middle Ages – have been fighting for many years for the permission to have Mass celebrated in Hungarian. Petru Gherghel, – Bishop of the Roman Catholic Diocese of Jászvásár/Iași since 1990 – stated earlier that he will only permit the Hungarian-language Mass if he can be certain that there is at least two percent of the Catholic community who do not understand Romanian. Later he rejected the request based on another – patently false – excuse, stating that the “Csángó language is not Hungarian”. Now this sudden indulgence of the bishop in January 2019 – after thirty years – was most likely prompted by the fact that Pope Francis is going to visit Romania in four months, and during this visit – besides celebrating a Mass in Székelyföld at Csíksomlyó/Șumuleu Ciuc – he will also visit Jászvásár/Iași in the beginning of June to meet with the Catholic believers of Moldavia, including the Csángó-Hungarians as well. Tinka Nyisztor said that with the Mass at Bákó/Bacău their problem has still not been solved. They still insist on their claim that the Mass should be permitted in Hungarian in every Csángó village where there is a demand for it. According to the web page of the diocese, more than 200,000 Roman Catholic believers live in the eight Moldavian counties belonging to the Diocese of Jászvásár/Iași, and out of those – Hungarian researchers estimate – the number that does not speak some dialect of Hungarian stands between 30,000 and 40,000.